Customers have embraced wireless charging, with countless wireless chargers flooding the market since Apple's adoption with the iPhone 8. Usually, they have a choice to make between a flat charging mat, or a vertical charging stand. Each of these have their benefits. 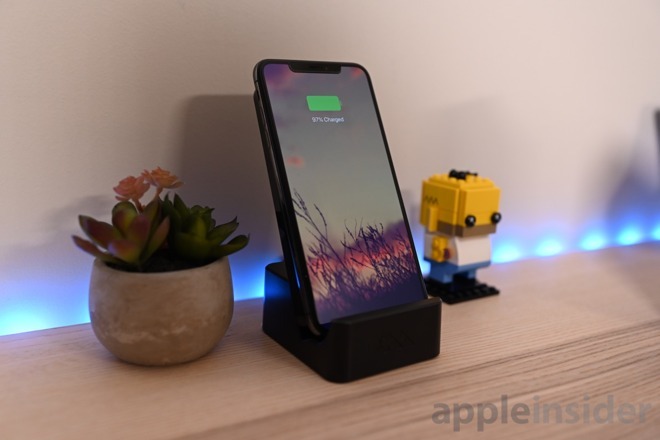 A stand takes up a smaller footprint on the desk, makes it easier to unlock the device via Face ID, and not to mention easier to see notifications on the screen. A mat, keeps your display from facing you while you sleep and can be easier to see when lower on a desk. A mat is also better suited for a Touch ID-based phone where you can push right down. Case-Mate, like others before it, have tried their hand at developing a transforming charger that acts as a mat, but when placed in a stand will be positioned upright and allowing the user to choose which is best. 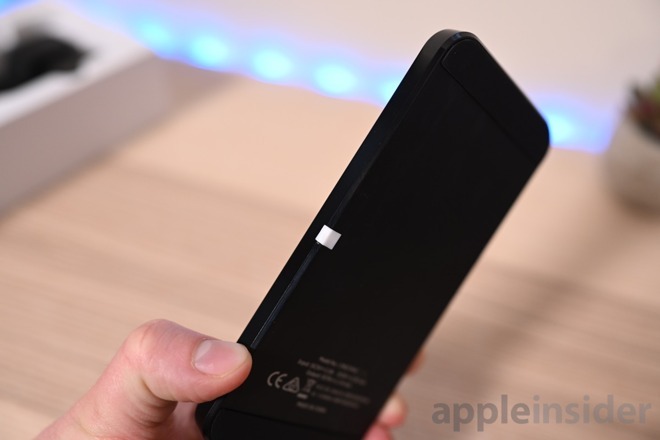 The charging pad itself is a rounded off rectangle with silicone pads running around the top. It can lay on the table flat, or it can be propped into the included stand to charge your device vertically. Build quality is maintained, but it still is made of plastic rather than the premium metal ones that Belkin, Mophie, and Nomad put out. This is trying to hit a lower price point, so concessions such as that must be made. On the side is a small diffused status LED that lets you know when a device is charging. 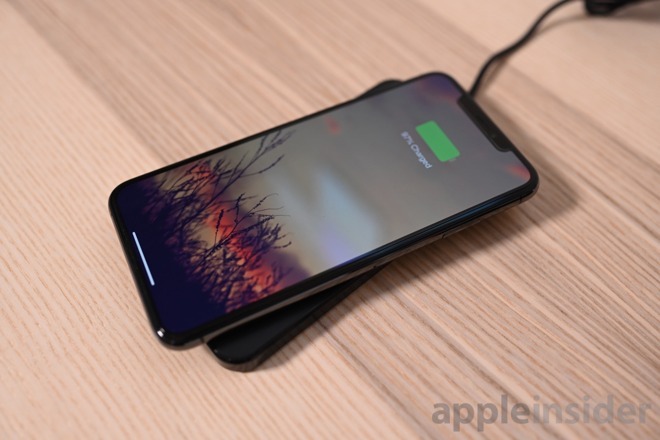 We've been charging out devices -- iPhone, AirPods, Galaxy Buds -- on the Power Pad for a few weeks now and it operates as any other wireless charger does. It can charge our iPhone at an acceptable 7.5W, and it is easy to switch from a stand to a mat when we want to. For example, I was re-watching the most recent season of Arrested Development in bed so I used the stand to prop the phone up. But as I went to bed, I laid the phone flat. I don't use Do Not Disturb mode, so I like not having the screen face me lest it illuminate and wake me up. Unfortunately, though, there are a few misses that make the Power Pad hard to recommend over other options. Our first qualm is with the power cable itself. 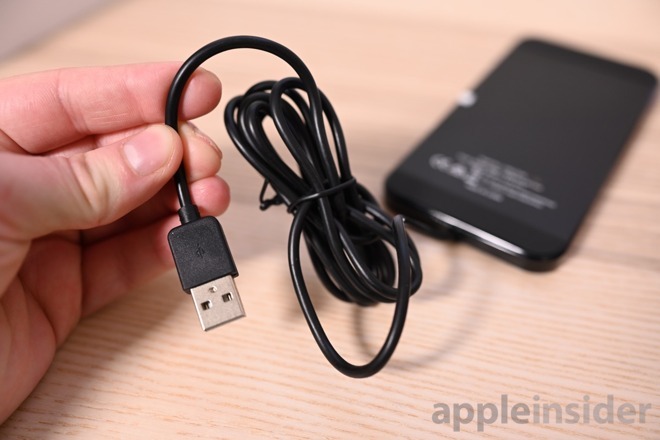 Instead of being the common micro USB, or even the preferable USB-C, Case-Mate chose a non-detachable cable. This locks you in and if something should happen to that cable you have to toss the whole charger. That all-or-nothing approach is hard to get behind. The end of the cable is USB-A, something we'd have ditched in favor of USB-C.
Because this is a transformative device and must operate vertically, the size of the charging pad is also much larger than your standard round charging puck. It is most noticable when not in use. The stand also is an awkward unused accessory you may feel compelled to hang on to as well, even if not being used. That is just more clutter for our drawer. We prefer the modular design offered by the likes of Nomad where the stand is tucked away underneath and features a removable cable. Perfect for use at home, or on the go. 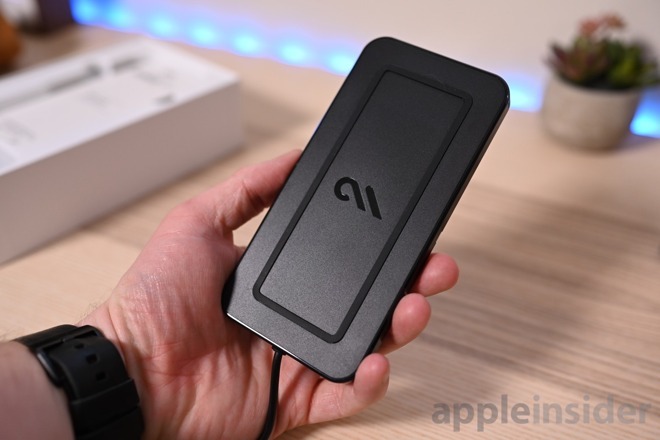 One thing Case-Mate could have done to set themselves apart is offer an additional USB output to power a secondary device, such as your Apple Watch. 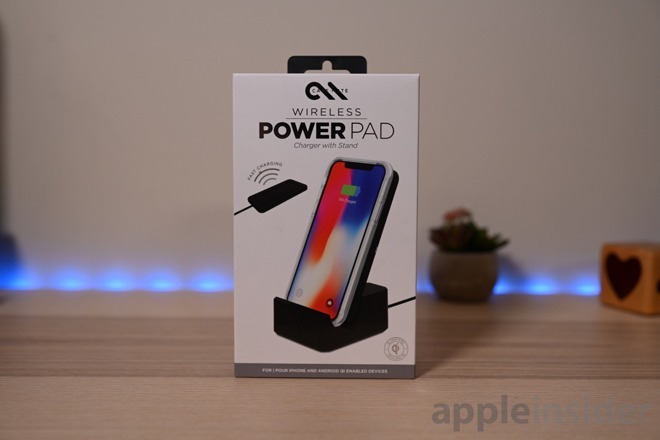 Power Pad is a solid wireless charger that has a few weaknesses compared to other chargers available. While that's the case, it is an exceptionally affordable option coming in at less than $50 and working as both a stand or a charger. If you want to grab one, they are available on Amazon with Prime shipping for $45.50.